Locality: United States, Colorado, Mesa, Uncompahgre Plateau, Escalante Canyon. 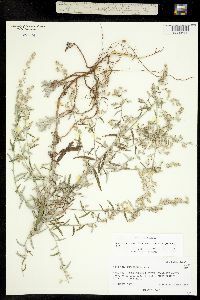 Notes: Artemisia ludoviciana subsp. albula (Wooton) Keck, det. by W. A. Weber in 1991. 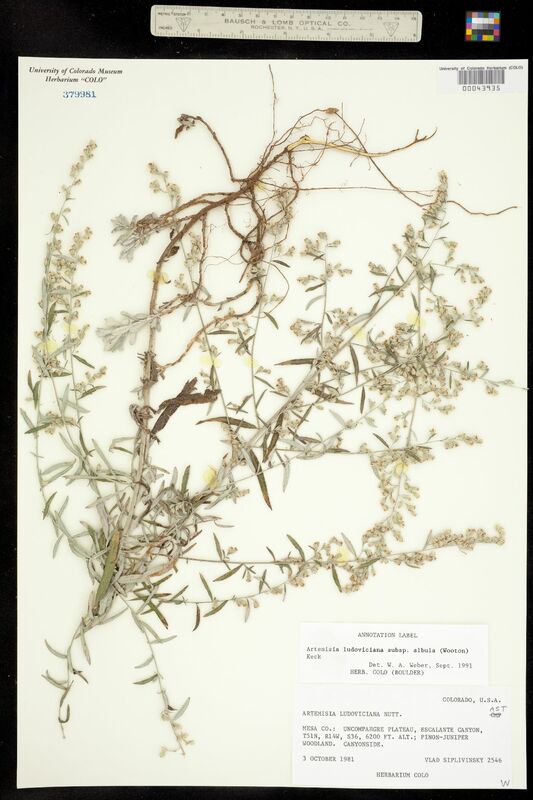 Originally ID as Artemisia ludoviciana.